My friend Nancy is an excellent cook. You must always try her recipes when she passes them along. 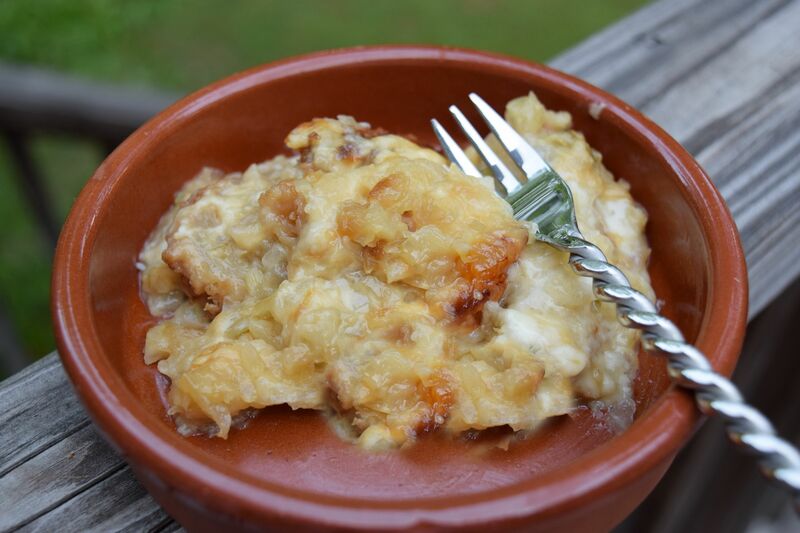 Nancy read in the blog of my interest in finding creative ways to cook my onions and reminded me of her Scalloped Onion casserole she served us on a visit to her lake condo in North Carolina. She texted me the recipe and guess what we are having for dinner tonight? Nancy is one of the most creative and resourceful people I know. She loves to travel and is always up for an adventure. 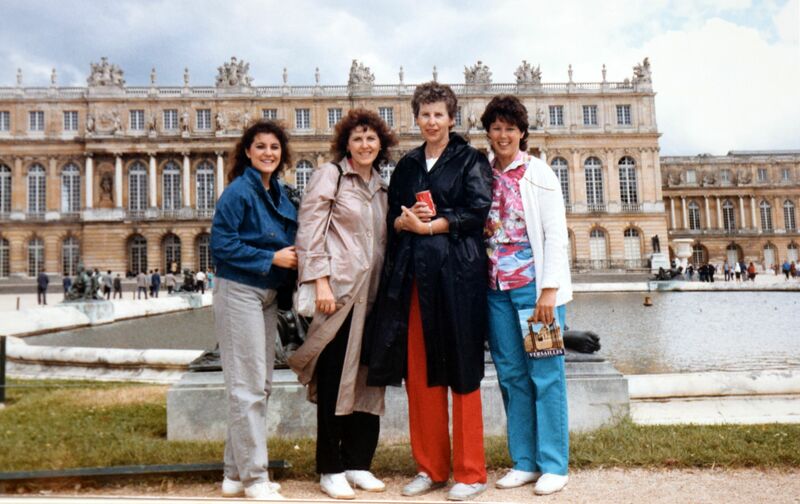 My mom and I went with Nancy and her mom on a culinary tour Brussels, Paris, and London in 1985 and then to the Grand Canyon several years later. Below is a photo from 1985 in Paris. We also had a great time two years ago when she and her mom were here visiting and we went to see Walking Dead film sites. You can check out that adventure by clicking the blue link. For now, you can check out this creamy, yummy side dish. 1 can cream of chicken soup (I used celery soup since Olivia is vegetarian – it was a great substitution for those not eating meat. Preheat oven to 350 degrees. Saute onions in butter. Mix soup, soy sauce, water, and milk. Add salt and pepper as desired. Layer half the onions, then half of the bread, and half of the cheese in the bottom of the pan. Add the remaining half of the ingredients in layers. Pour soup mixture over the casserole. Refrigerate for 6 hours. Bake at 350 degrees for 30 – 35 minutes. 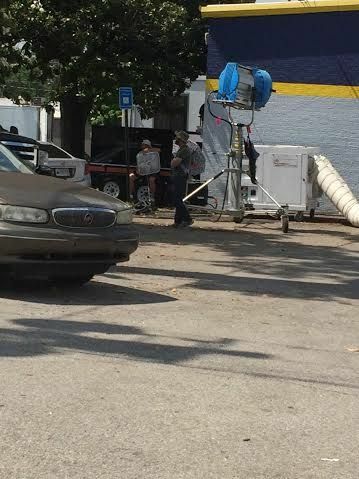 Then, speaking of movie tours, today we were coming home from a quick shopping trip and we saw a TV show being filmed on Highway 16 in Griffin. The show is Rectify. It starts its fourth season this fall. We whizzed by the Firestone store and took this quickie picture. So, thanks for the recipe, Nancy, and I hope you will come back for another movie tour. There are plenty around these parts!